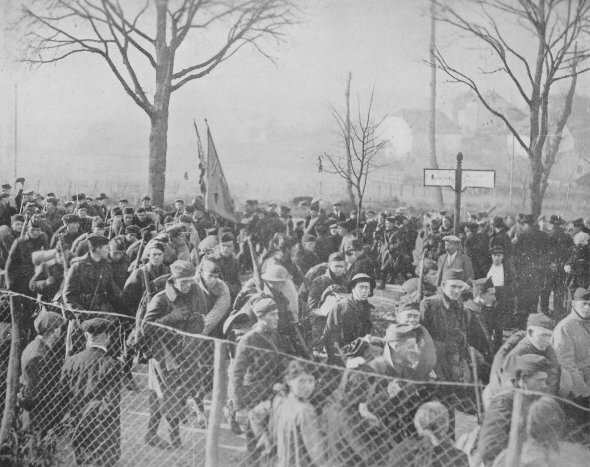 On Nov. 17, 1918, the 5th and 6th Marines, 2nd Div., commenced their march to the Rhine, passed through Belgium and are now, Nov. 23, passing through Medernach, Luxembourg. The old slogan, "The 2nd Div. has never failed to impose its will upon the enemy," still stands undisputed.